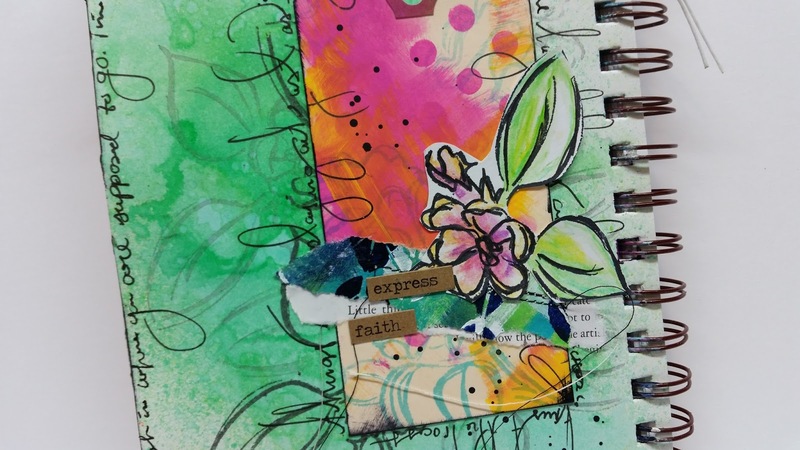 Another super quick page for NaNoJouMo 2015! 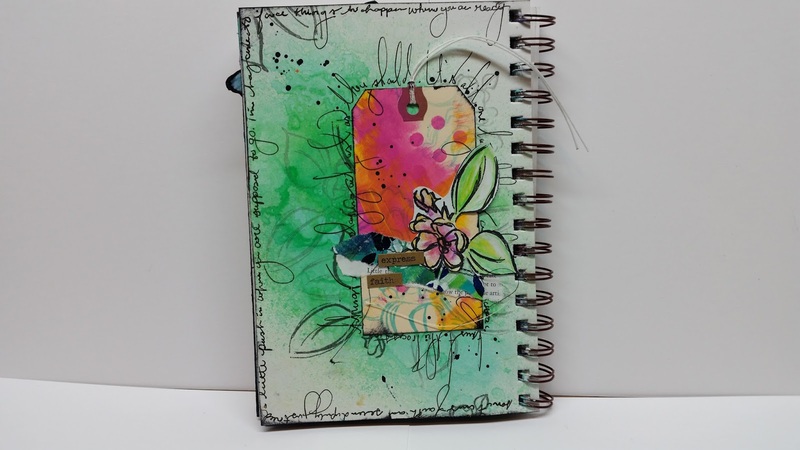 Today’s page was inspired by this tag I found in my stash. I like it so much, I wanted to make a page for it. 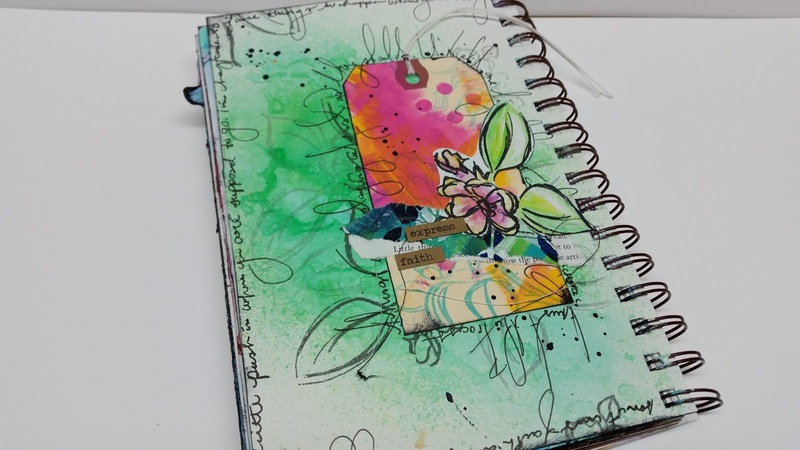 This tag has a very water-y blend of Dina Wakley’s Magenta & Lemon paint. They make this gorgeous orange color when they mix. After the water paint was applied (very haphazardly), I applied the magenta paint thru a Heidi Swapp circle stencil. 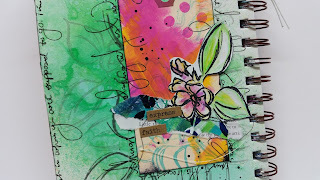 I then stamped a flower stamp with teal ink over the background. 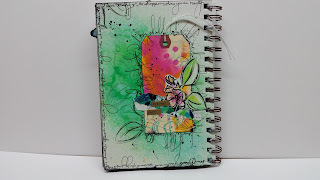 I stamped my focal flower on watercolor paper and fussy cut it. After it was cut, I colored it in using Watercolor pencils. 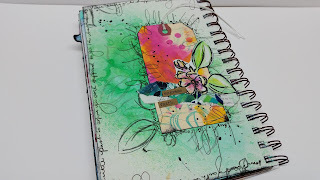 I sewed a piece of book page and a strip of painted deli paper together and grouped everything on my tag. The final step was going over the edges with a black ink pad. You have a wonderful "sense?" of colour, and as for your writing, I love, love, love it.